What a week it has been, with final preparations and new pieces to learn all at once. Tomorrow we leave for an 8 day holiday in Tasmania so that the family can farewell me on the Aurora Australis on Feb 8th. There will be a few days in Hobart of fitting gear and safety training, as well as radio interviews and so on. In the meantime the car is packed to the gills. At the last minute we decided it might just be possible to fit my (acoustic) pedal harp in as well, so that I can keep my fingers in shape at least until the ship leaves. Of course there have also been last minute dramas with our trial downloading the video clips to the new laptop, but this has, touch wood, been resolved today. 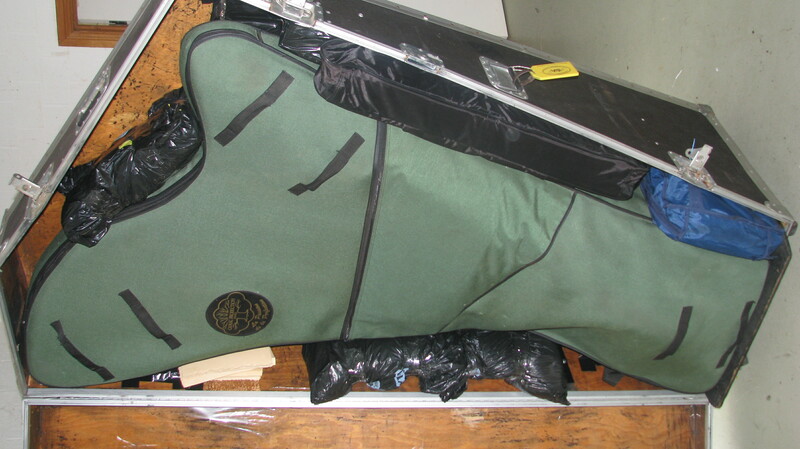 The lever harp fitted perfectly in a garment bag I had, shoulder strap and all, with extra sleeping bag padding inside. So sewing skills remain luckily untested. Jim’s piece is beautiful, with repeated patterns suggesting sea and snow. It’s called “On Not Dancing with Penguins”. I have worked out a program with brief reading’s from my grandfather’s diaries inbetween pieces, and it comes to almost an hour. It has turned into something I would like to present back in Australia during the Australian Antarctic Expedition Centenary years. Yesterday Martin sent me his piece “Aurora Wynnis” for the Mawson concert. It’s an extract or foretaste of a larger piece I’ll play in June at the “Antarctica – Music, Sound and Cultural Connections” Conference to be hosted by the ANU School of Music 27 – 29 June. In his words , “a love-song, in effect, from Cecil to Wynnis. Aurora Wynnis: something beautiful, to be admired.” Wynnis was my grandmother – CTM’s fiancée at the time, waiting for him at home for over 2 years. I have been practicing reciting the words from his diary entry in tempo so I will fit them in the bars while the phrase loops. Luckily not to many notes too learn at this stage and it’s going to be very dramatic and fun to perform. Jim rang this morning to say his piece is finished and I will get it tomorrow. Hopefully I can learn it in a week! Mary Doumany has also let me know about a beautiful piece she wrote some time ago – “Ice” which she performs on her “elemental” CD. I am not sure I will be able to learn this one in a week, but it will be good to include in my Polar repertoire in the future. The harp and accompanying cargo left for Hobart Macquarie Wharf No 4 today. I spent yet another day fussing around with packing, finalising the cleaning and sealing, and stuffing as much as possible into the trunk. In the end everything fit in that I wanted to but I had some anxious moments. The two Pelican cases for Video and Zoom recorder and the second tripod that we were waiting on finally arrived at the ANU this morning and Arnan was able to pick them up, along with the ‘Rockbag’ for my Footswitch board which also just arrived. (Yes, now I am a going to be a ‘cool’ rock chick). Especially lucky timing, since I was expecting the trucking company to come on any day this week. We came very close to not having some backup equipment! 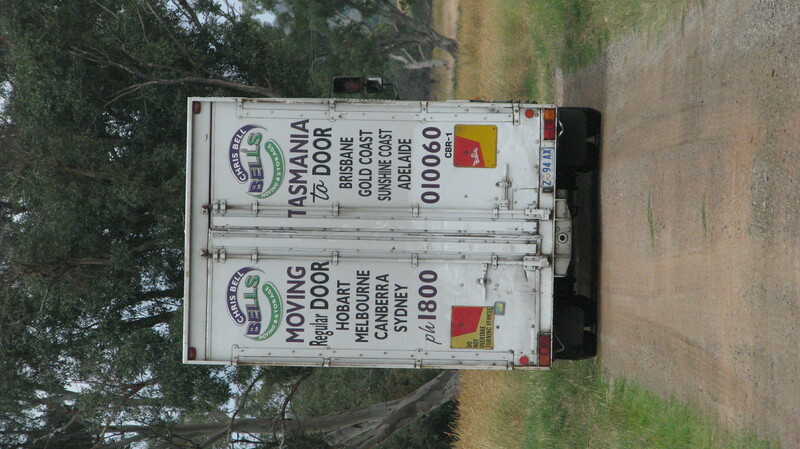 Once the semitrailer trundled off into the distance I was able to sit down and heave a sigh of relief to sit behind the harp and practice quietly for a bit. I still have my Lyon & Healy Salzedo at home, and the little Thom lever harp. The program is pretty much organised now, although memory is not quite certain. The program I am preparing for Mawson Base will start with pieces that commemorate the first Antarctic Expedition and so I play some pieces my grandfather mentions in his diaries. This will also involve something I have not done since I first learnt the harp – singing and playing. Lots of fun – especially the drinking song, ‘The Good Rhein Wine’ which was CTM(Cecil Tully Madigan)’s party piece – but I wish my voice was as good as when I was 8 years old! Never mind – I understand his voice was not so marvellous either and I will invite the public to join in the chorus. I nearly have both Larry Sitsky’s pieces from memory now. They are both marvellously dramatic – the electro-acoustic harp Fantasy sounds like someone with a huge range singing in an enormous ice cathedral. I finally went out and bought myself a loop switch for this piece. The lever harp Fantasy is very beautiful and dark. I will be performing it outside – Andrew Thom says it will be fine to rest the harp on a lump of ice! Joshua’s Penguin piece is lots of fun to play, and I am hoping to be able to get some video footage while there to match the scenes described (‘Peguins having difficulty organising themselves’, ‘A rowdy party’,’The party is disturbed and the penguins huddle for warmth’ etc). There’s lots of 2 against 3 in alternating hands to describe the waddling penguin gait. With the cargo on its way, the e-con forms filled out for the shipping, and all the equipment safely in hand or on its way, now I need to move onto the next stage of preparations: making a padded bag for the lever harp. And learning the words for the hymns and rowdy songs – I’ve always been hopeless at remembering words, so it’s quite a good challenge for me. This is certainly an adventure which is expanding my horizons! The cargo leaves on Thursday to arrive in Hobart in time, and after that I won’t have my Camac Blue or be able to use my effects until I arrive at the Mawson Base. I am worried about the battery on my Ensoniq DP4 effects processor as it probably won’t like the brief time during transfer from the ship to land. But I have a Sysex Dump on the laptop and hope it will work if all the memory fails – Alistair helped me work this out one nervous afternoon. The best thing has been all the support here – just like a true Antarctic adventure, it’s all done with team work. Niven at the ANU has been training me on using the video, H4n Zoom recorder (and super field recording microphone) and trouble shooting if any unexpected hums occur in my electro-acoustic equipment etc; Lea talked me through positions for my power amps and monitoring myself for levels and acoustics; Pro Musica in Canberra have fixed my Behringer foot pedal which I dropped whilst planning how to fit it into the harp trunk; and the friendly guy at Better Music suggested how to pack my speakers without spending a fortune. Julie helped me put up this blog site (I’ve never used one before) and Kirsty is behind the scenes making it look good and will be posting the entries up when I have limited email access on the Aurora Australis. Josh has been the one to research all the fancy video, recording and laptop equipment I am taking with me, supplied by the ANU School of Music. He has insisted I have back-ups for all that equipment, but this will be impossible for harp or effects processor! And last but not least, husband Arnan has been looking after everything while I try and manage practice and logistics – besides running around all yesterday morning finding the right length leads for my equipment. All this and I haven’t even mentioned the composers who have been working hard to creat new pieces especially for the performance there. More on that next time…some exciting new things and I am enjoying reconnecting with my first memories of singing and playing the harp.